Who Will Play Barbie in Place of Amy Schumer? 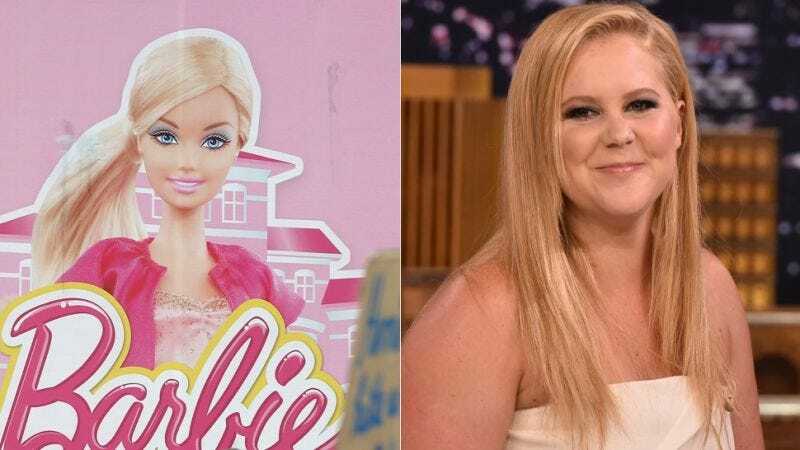 Amy Schumer is no longer attached to star as Barbie in the upcoming Barbie movie, which means the role is up for grabs. As of December, the Barbie character, and the script, was intended as a comedy partly based on Schumer’s persona, with a plot about Barbie being a town outcast. Hollywood could do the unthinkable here and choose to cast a non-white actor as Barb. Chances are they won’t do that, even though Schumer’s casting was considered deviant by their standards. Will the filmmakers replace her with someone obvious like Anna Faris? Someone off-kilter like Mindy Kaling or Jenny Slate? Kristen Stewart? Or will it be: Brie Larson Stars As Barbie.